Your Mountain Property Specialists. Complete real estate services including residential, land, farms, investment, and commercial. Professionals that put customer satisfaction first! Thorough, experienced professionals specializing in choice properties, private estates, acreage tracts, development/commercial properties, view lots and log cabins. 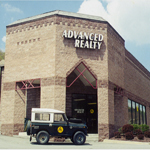 Member of MLS, Avery/ Watauga Board of Realtors and National Association of Realtors. Located on the corner of Main and Sunset--across from the park. Quaint log cabins or grand mountain lodges, glorious views or total seclusion, in-town convenience or a hiker's paradise near Pisgah Forest, we simply offer the best in mountain resort accommodations and sales. Our full-time staff is dedicated to making your experience the best ever! Our homes and rates are easy to see on our website--or call us for a personal consultation with our vacation specialists. Looking for a perfect mountain retreat or or private home site? We can help! 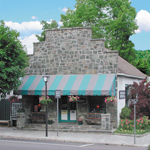 The three most popular reasons members fall in love with us are our heart of the High Country location, unparalleled views, and belonging to Blowing Rock. BRMC offers one of the most central, scenic, convenient and accessible locations for High Country living! 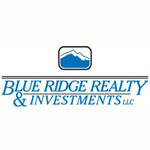 BRRI, one of the oldest names in real estate in the NC High Country, was founded in 1982. Our Brokers are known for their professionalism and impeccable service. BRRI is the exclusive for Sunalei Preserve and continues to assist buyers and sellers in Yonahlossee Resort & Club. Quality and complete real estate services since 1976. Including sales, property management, vacation rentals, and association management. Family owned and operated. Member MLS, Avery-Watauga Association Board of Realtors. National Association of Realtors. Experience. Expertise. Excellent Service. Since 1983 we have specialized in local real estate helping buyers and sellers complete successful sales in a competitive market. You need the benefit of vigilance and years of experience to guide you in this real estate market - call today to start a conversation with us about our professional services to buyers and sellers. Serving the entire High Country - from Blowing Rock to Valle Crucis to Banner Elk to Ashe County - our seasoned brokers know the territory. They will assist you in finding just the right cabin, estate, farm, condo, land, investment, foreclosure or short-sale you seek. Offering a wide variety of lots, acerage tracts, farms, estates, residential and investment properties located throughout the High Country. A small company with a large inventory providing professional personalized service!